The Crane®FKX 9000 Triple Offset Valves valve design is recommended for industrial applications where large bore valves handle hot steam or isolate parts of their plants and have high/low temperatures that prevent the use of rubber lining elements. 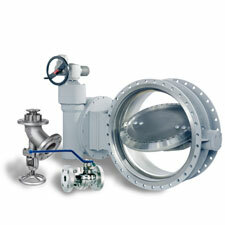 Flowseal is a leading provider of soft seat, metal seat and fire-safe high performance butterfly valves. Our products are manufactured under an ISO 9001 Quality Assurance Program that assures each valve we produce meets or exceeds your application requirements. High performance butterfly valves from 2"-48"
Double flange available 28" to 48"
Max-Seal, Inc. is a full line manufacturer of high quality butterfly valves and all types of valve automation equipment.Their focus is to design and manufacture butterfly valves with an emphasis on automation, ISO mounting pads, extra heavy shafts, and of course low operating torques. Max-Seal products are built to last; they feature engineering excellence with international compatibility at affordable prices. 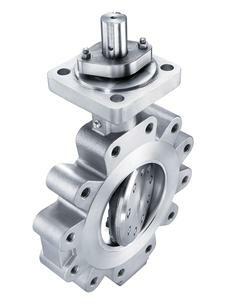 Synonymous with safety, reliability, and extreme durability for more than 60 years, Krombach is best known for its unique ability to manufacture large quarter turn valves including fabricated butterfly valves, triple offset valves, and check valves. 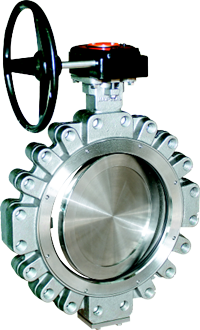 These valves range in size from 3” to 136” and are typically used in applications such as steam / water isolations, condenser isolations, cooling tower isolations and seawater isolations, to name a few. 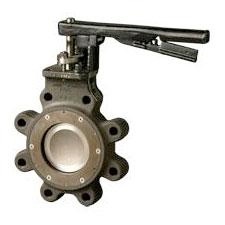 In addition, Krombach offers a line of soft seated and metal seated ball valves that are manufactured with precision to address the requirements of rugged service conditions in corrosive, abrasive, high temperature, gases, chemical, mining, and pharmaceutical processes, among others. 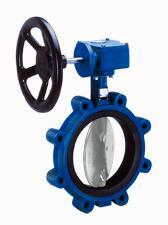 Stockham is a leading provider of soft seat, metal seat and fire-safe high performance butterfly valves. Our products are manufactured under an ISO 9001 Quality Assurance Program that assures each valve we produce meets or exceeds your application requirements.